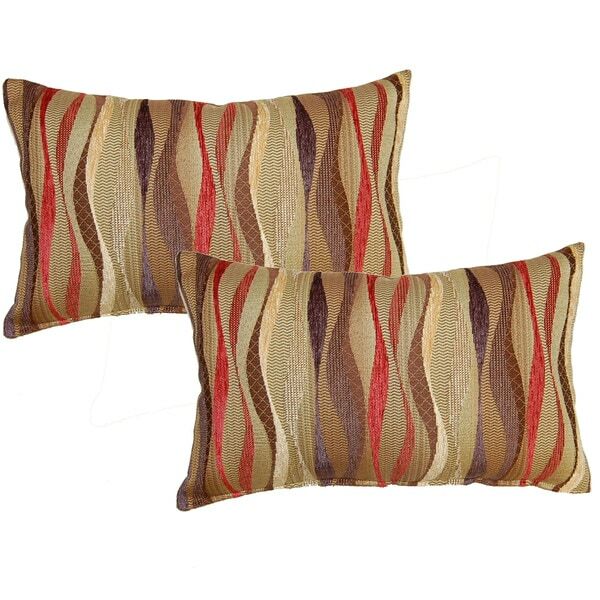 This set of throw pillows will liven up any room. These pillows come in a set of two. The fabric cover and color is quite nice but the pillow filler inside is not firm. There is little support and they don't "sit" well. These pillows are just the right size for small chairs. The fabric is very nice and they were a great value. I ordered two more for my couch! These are even nicer than they show in the picture. The colors are not stamped onto the fabric; they are woven into or on top of the base fabric. I am thrilled with the colors, love the shape and the quality is more than I expected. These are some beautiful pillows. They so enhance all the things I have in my living room, from the paint on the wall, to the rug on the floor and not to mention, the lamps and the furniture. Just beautiful. They complement everything in my living room. They are pricey however, I like them a lot. Got all the pillows in this design. Hope to add some solid colors in the future. Ordered for couch on screened in porch, perfect size for what I wanted. The back side is a plain brown material, but still happy with them. 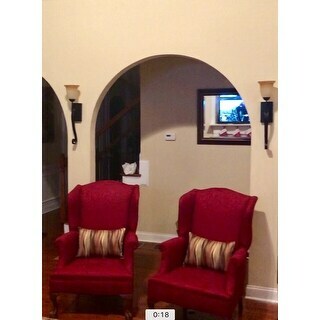 I love these pillows, they look great in my living room! Pillows are nice and colors are right. Looks good on my loveseat! Very nice material but, a little smaller than I anticipated. I would really recommend them. The colors are very rich. Love them. I ordered these pillows because I had the larger ones and loved them! These are perfect...much better in person than the picture. They are sturdy and perfect for under arms in recliner...Perfect! Exactly what I ordered, the color is a great match for the other pieces I ordered. Colors exactly as shown online. Good lumbar pillow. Very nice and looks good on our dark brown couch.